is a complex bio-stimulant nutrient additive for use during the seeding, growth, and early bloom phases of our plants. START-R contains a highly available form of nitrogen and unique combination of Bio-Stimulants which acts as a root stimulator while promoting plant vitality and abundant branching. START-R is immediately absorbed by the plant and is perfect for proper development for seedlings, rooted cuttings, young plants, and use during transplant. Use a 4 ml/1 gallon during the entire growth stage and first two weeks of bloom. 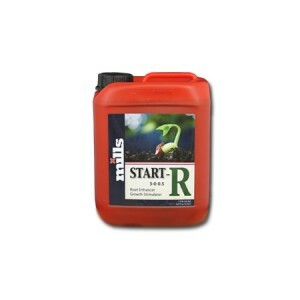 START-R is a must have for any serious grower. Compatible with all growing mediums and watering methods.